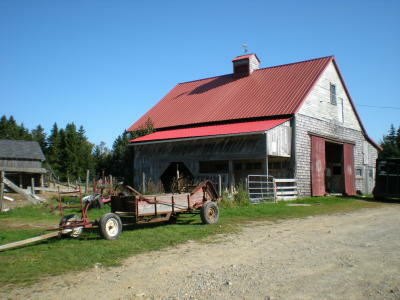 When novelist Cynthia Thayer lost nearly one hundred farm animals (among them draft horses, calves, pigs, and sheep) to a devastating barn fire on the early morning of May 7th, injuring herself in an attempt to save them, Maine’s literary community collectively gasped. Cynthia is not only a beloved member of the Maine Writers and Publishers Alliance community, but her Darthia Farm operates organically and participates in the Community Supported Agriculture program. Peaks Island author James Hayman joins dozens of other authors who will band together for what they’re calling a literary barn raising this Friday, June 1st from 5-8 pm at Longfellow Books in Portland. I initially met Cynthia when she came down to Peaks Island to conduct a writing workshop at the island branch of Portland Public Library. When I was introduced to her, I told her that I was hard at work on my first fiction. “How much have you written?” she asked. “One hundred and fifty pages,” I replied. “I’d be thrilled,” I said, surprised by her generosity. I told her I wouldn’t want it any other way. I emailed her the manuscript that night and she called me back less than twenty-four hours later. “I have to tell you,” she said, “You kept me up all night. I think the book’s terrific.” Once again, I was thrilled. These were the first words from anyone whose literary judgment I respected that made me think that maybe, just maybe I might really become a novelist. She then offered a number of suggestions on how to improve the manuscript. In each case, she was right. Her suggestions did improve it. From there, Jim explains, Cynthia became a good friend and mentor. He’s pleased to join the legion of friends and colleagues who are raising funds to help rebuild the barn and acquire new livestock. You can learn more about Cynthia’s writing here and either attend the book-signing event at Longfellow Books or donate to the Darthia Farm Fund.